I have to admit that the idea for this little project came to me in a dream. 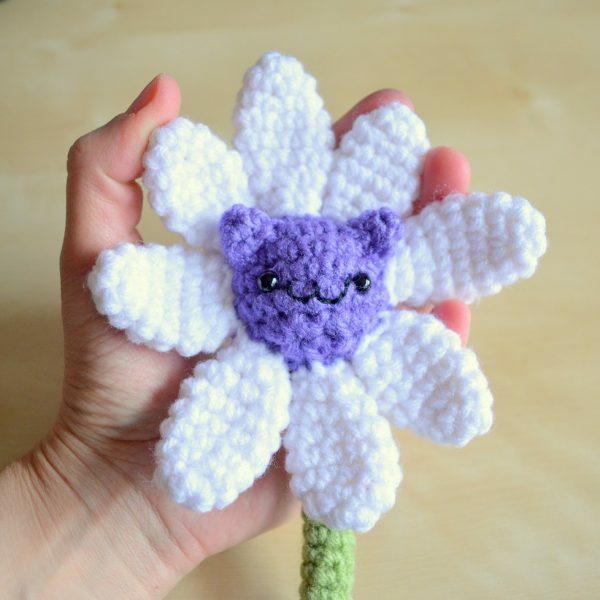 In the dream I saw what looked like an amigurumi cat head with a ring of flower petals around it – I’m convinced that it was an appliqué on a crochet sweater. When I woke up I had already forgotten most of the details so even the description I just gave is altered – sigh, if only we could accurately remember our dreams. Pattern is below or you can download the free PDF pattern in my shop. -Worsted yarn in colour of choice – I’m using Bernat – White, Lavender, and Fern. Place safety eyes, embroider face, and stuff with fibrefill. Continue to dec until close. Fasten off and weave in ends. Round 1: Start 4 sc in magic ring OR ch 2 and sc 4 in 2nd ch from hook. Petals – Make 8 or as many as you’d like to fit. Fasten off and leave tail to sew around head. You can make the petals varying sizes by omitting Round 2 and/or 8. Sc in each st until you have the desired length – my stem is approx. 6.5” long, or about 30 rounds. Fasten off and leave tail to sew to head. 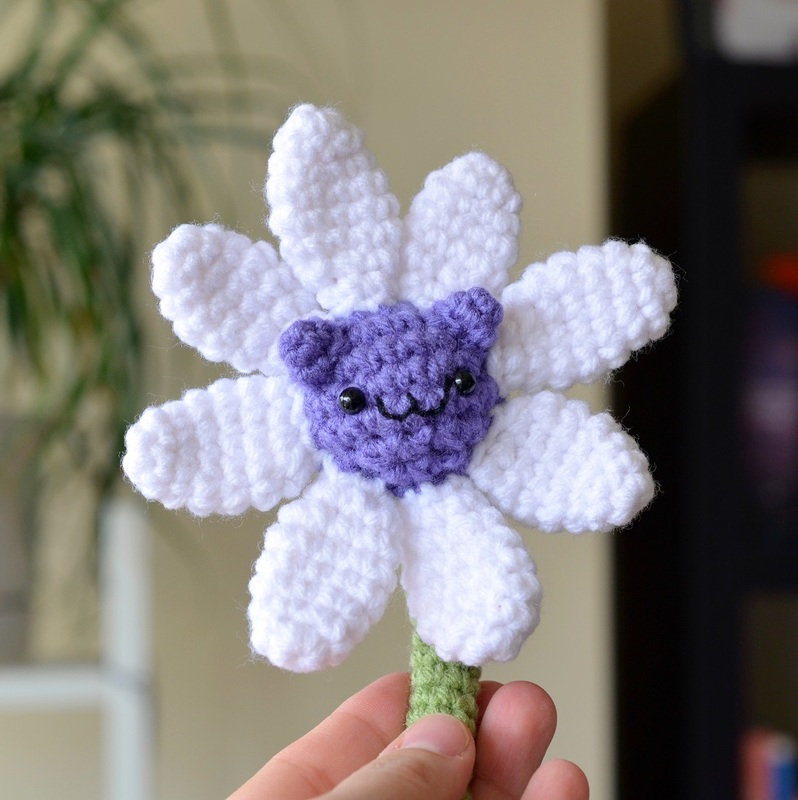 The perfect flower for cat lovers!…nicely done…thanks for sharing! Sooooo adorable!!! Have to make a few of these for myself and my friends.